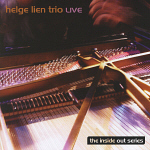 Master pianist Helge Lien with his suberb rythm section is back on Curling Legs with a vengeance. 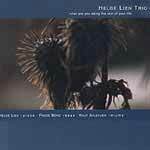 Helge and his trio explores the inside out of the fine art of jazz-improvisaton. Only originals except a brilliant rendition of Paul Desmonds "
The debutalbum of a young and energetic trio under the leadership of pianist Helge Lien. They interpret tunes from the standard repertoire and the interplay is just great. A critics favourite!